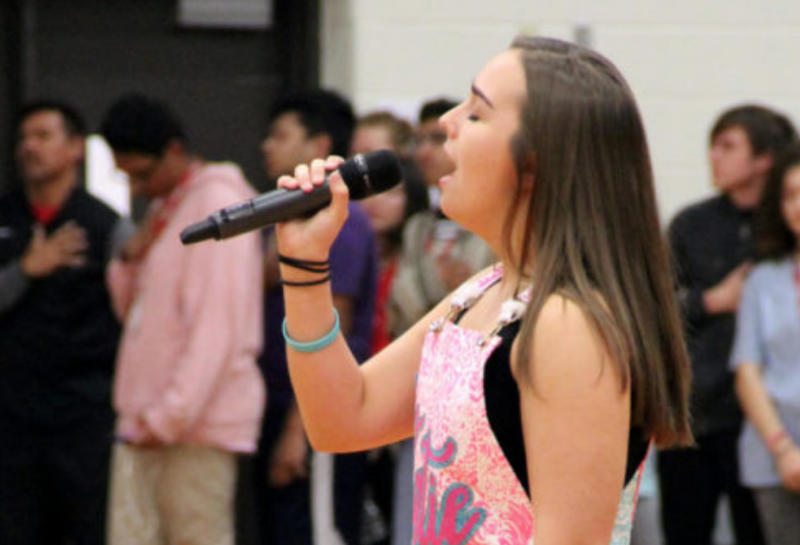 Coppell High School senior Katie Love sings the national anthem at a pep rally. Love is among the students looking to auditioning for an opportunity to sing at graduation and the Senior Awards. 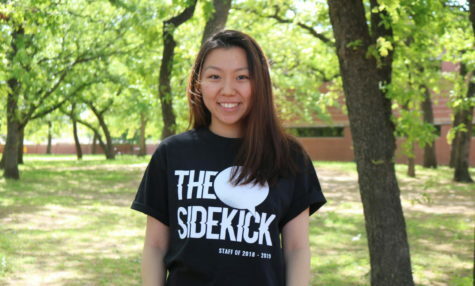 What was once a casual custom has now transformed into a beloved Coppell High School tradition. Today, after school in the choir room, CHS associate principals Sean Bagley, Melissa Arnold and assistant choir director Adam Gilliland will audition six senior students for the opportunity to sing a song of their choice at either graduation or the Senior Awards banquet. The song must come with an accompaniment and act as a “farewell” address to the senior class. The performance acts an intermission. Given the lengthy two-hour process of the ceremonies, music and entertainment aim to break up the event. In the 13 years Bagley has worked at CHS, the tradition has endured for every graduating class. In fact, singing at graduation has even been an occurrence in years preceding Bagley. Senior Katie Love is among the students auditioning. She has chosen the songs “Long Live” by Taylor Swift and “Thank God For Hometowns” by Carrie Underwood to potentially perform. Love’s personal and emotional ties to music has inspired her to step out into the spotlight one more time for her high school. “This is the gift that God gave me, so I’ve always used it,” Love said. Many seniors are looking forward to this special event.